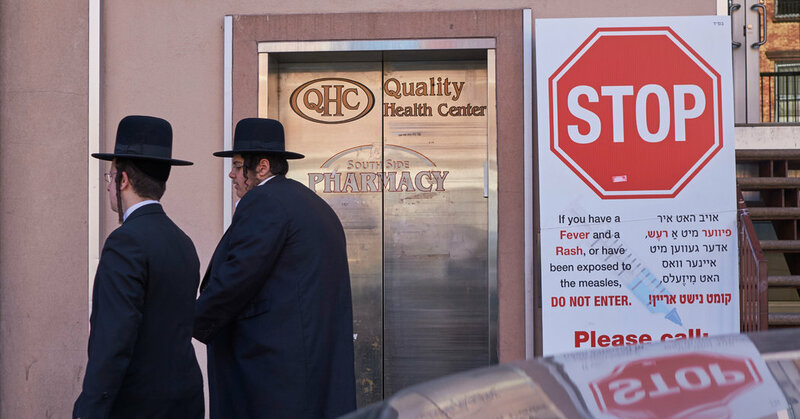 United Talmudical Academy in Williamsburg is the first yeshiva to be directly affected by city’s escalating effort to stem the country’s largest measles outbreak in decades. “Health Department staff will monitor the school to ensure it is following the closure order and the center will not be allowed to reopen until its staff have submitted a corrective action plan approved by the Department,” the department said in a statement. New York City has confirmed 329 measles cases since the outbreak began in the fall. The outbreak has largely been confined within the ultra-Orthodox Jewish community. Outbreaks have also been reported in Rockland and Westchester Counties, suburbs of New York, as well as around the country.